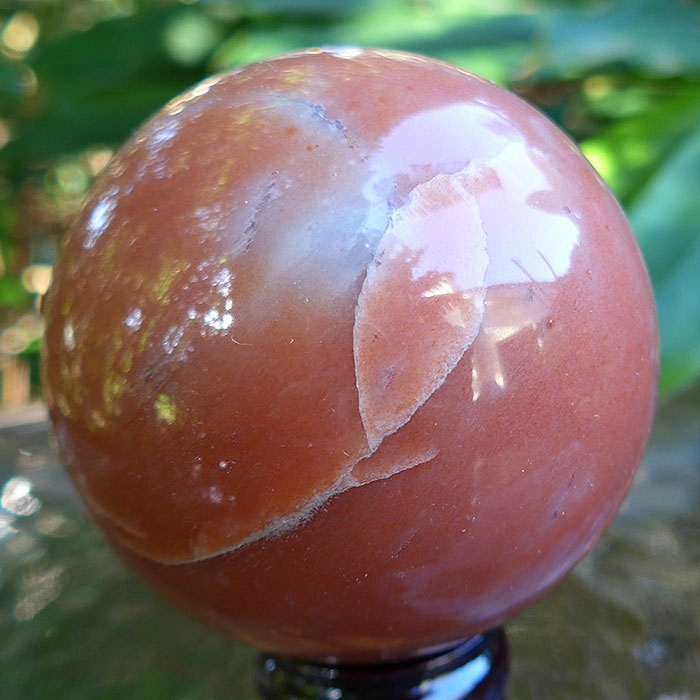 This beautiful Red Orange Calcite Sphere, measuring 3" in diameter and 1.7 lbs, will make a wonderful addition to your collection. It has beautiful coloration & would make a fine addition to any altar, treatment room or shelf for a simple display. 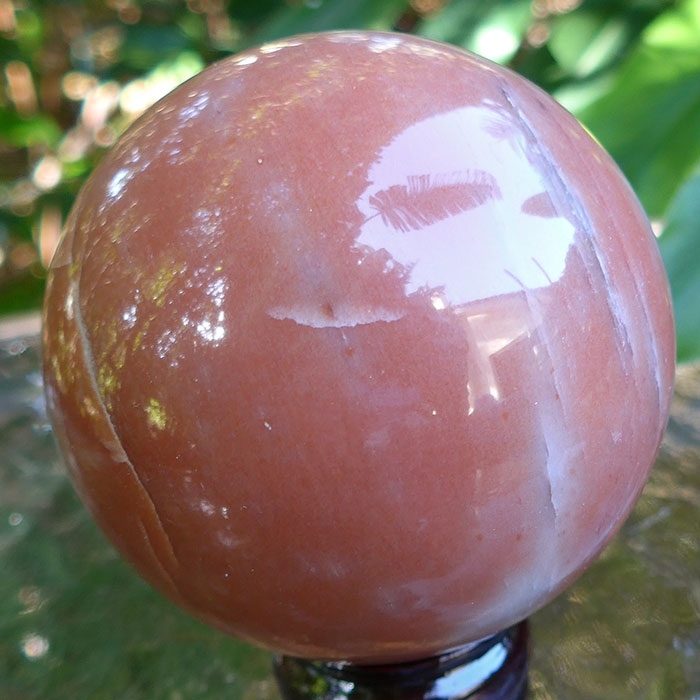 Use this lovely sphere for extra protection in the work place to assist in clearing unwanted energies from your space. 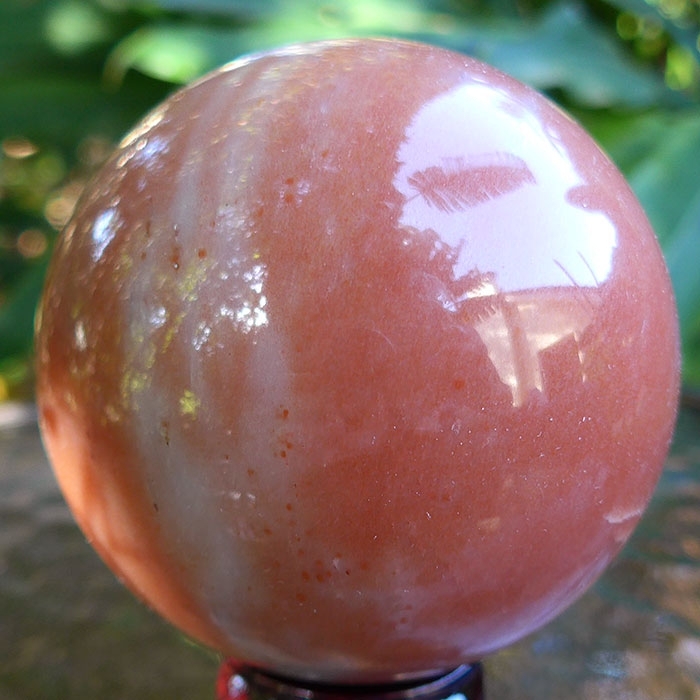 This red orange calcite sphere comes complete with its own FREE display stand for your convenience. Calcite is the crystalline form of calcium carbonate, and appears most commonly as translucent, white to clear or bluish rhombohedral and tall pyramidal crystals but ranges in color from pinks to greens & yellows as well. According to Melody, in her encyclopedic book, Love is in the Earth, Calcite is used in "multi-directional energy distribution" and that it is a "world teacher". I have always been attracted to the many varieties of calcite because it feels so grounding and centering. It's energy signature is one which assists me in finding my own innate sense of balance. We have calcite both inside and outside of our house. 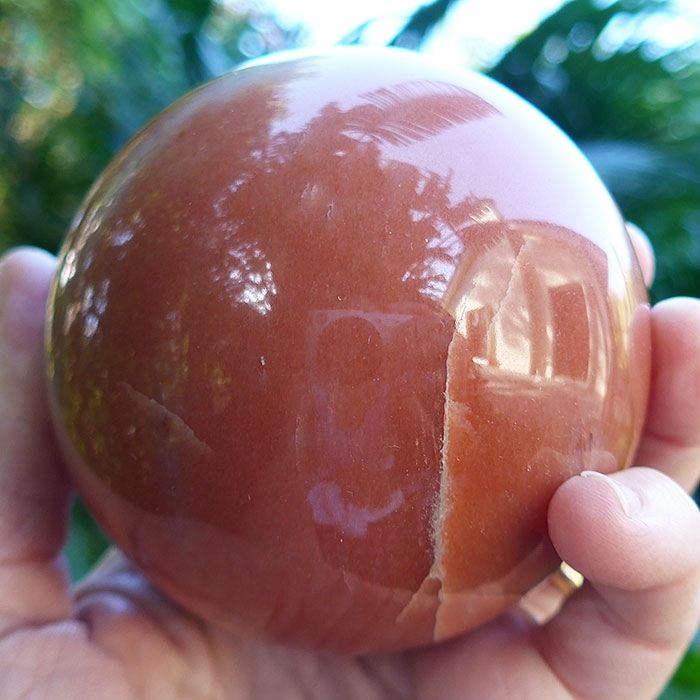 Every sphere comes with a stand as pictured. Note: weight above is shipping weight. Actual weight is 797 grams or 1.7lbs.